Executive Villas (164-167 sqm) provide all modern amenities and conveniences to ensure a luxurious experience within a fabulous natural environment. 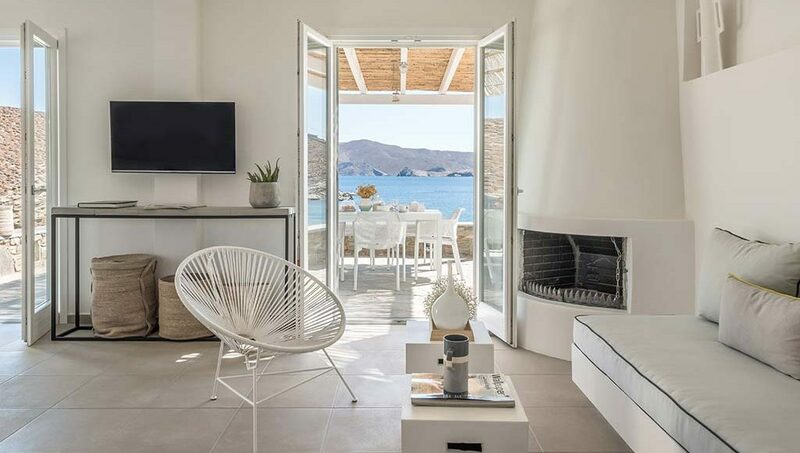 The interior design is a contemporary derivative of the traditional Cycladic architecture to wit it develops the space in different levels in a way to ensure functionality and privacy. The combination of minimal design, neutral colours and the modern interior aesthetics radiate purity. The spacious terraces and the independent exterior areas invite you into a journey to the serenity and beauty of Agios Sostis bay and the Aegean Sea. The beachfront villa location transforms the Aegean Sea to a vaste private natural pool. These extraordinary villas are suitable for a family or a group of friends. They provide four bedrooms with queen/king size bed and three bathrooms for individual use accommodating 8-11 guests. They include a bright living-dining room with an open plan kitchen. Most of the indoor spaces extend to a private shaded terrace or balcony. 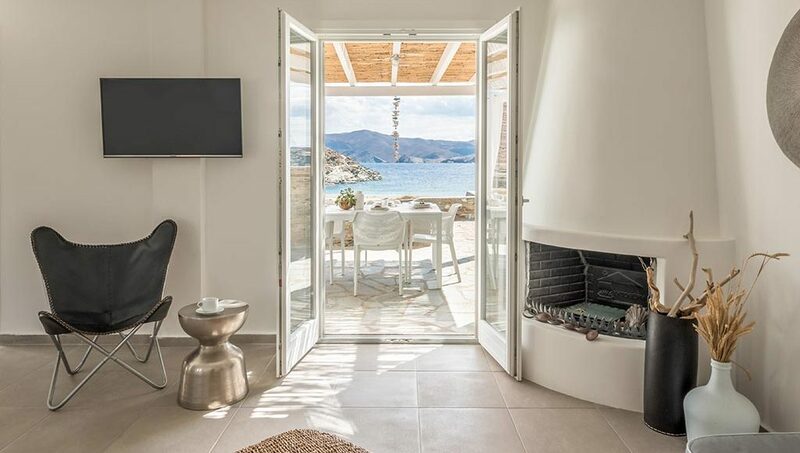 Both the indoor and open air spaces offer the astonishing views of Agios Sostis bay and the Aegean Sea.